The txistu is a version of fipple flute that became a symbol for the Basque folk revival. The name may stem from the general Basque word ziztu "to whistle." This three-hole pipe is played with one hand, leaving the other one free to play a percussion instrument. Evidence of the txistu first mentioned as such goes back to 1864. Yet it is apparent that it was used earlier, although it is not easy to establish when it started out; actually, it is impossible to do so, the txistu being the result of an evolution of the upright flutes widespread as early as the Late Middle Ages, when minstrels scattered all over the Iberian Peninsula brought in instruments that locals, noblemen first and common people later took on and developed. At the beginning, txistu players (txistularis) were named in romance written records after the tabor (pipe and tabor were played together): tamborer, tamborino, tambolín, tamborín, tamboril, músico tamboril, tamborilero, tamboriltero. However, when named after the flute, they are called in Spanish pífano, silbato, silbo, silbo vizcaíno, chilibistero to name a few. The three-hole flute was no doubt used by people in much of Spain not only in the Basque Country, but recordings of Basque names for the instrument turn up later: txilibitu, txirula, txirola, txürula, txulula, txilibitulari, txilibistari. While some instruments fell into decay, from the Renaissance on the three-hole flute raised its profile and increasingly took on the length as we know it today (42 cm) in the western Basque Country. In contrast, the (t)xirula, the version that prevailed in the Iparralde (northern Basque Country) remained shorter in size. At that point, three-hole flutes were made of wood (despite some instances of flutes made in bone). Up to the XVIIIth century, since txistu was played along the pattern of tabor and pipe, it needed no tuning; yet in the XVIIIth century the chistu was adopted by the Count of Peñaflorida and his Basque Enlightenment cultural revival, and became a part of Basque aspirations for the nobility, resulting in more instruments (usually other chistus) joining the pair, so they started to be tuned. The instrument was modified to give it a range of two octaves, and a larger version called in Spanish the silbote was fashioned to accompany polyphonic compositions. Rural txistu musicians continued their own traditions with self crafted rustic txistus, while the urban txistularis formed schools to teach the brand-new sophisticated instrument. At different stages of the three-hole flute's history reeds and metal mouthpieces were applied for a better sound. While some claim that it is closely related to the early link of the Basques to iron and the forging industry, others suggest that the embedding of such pieces began in the industrial revolution of the XIXth century. The txistu is a vertical nose flute with three holes (all three holes are on the lower end, two on the front and one on the back). According to early written documents, txistus were once made entirely of either bone or wood (similar to today's txirula). The txistu is the most popular traditional musical instrument today (as was also the case in other times). One of the most obvious examples of this is that out of the list of nearly one thousand musicians who came to the festivities in Pamplona in the eighteenth century the majority of them were txistularis from different regions of the Basque Country (for the most part from Gipuzkoa and Navarra) (Ramos, 1990). There is abundant early documentation on the history of this musical instrument. Some say that the first vestige is a bone txilibitu (whistle) found in Laminazilo cave in Isturitz in Baja Navarra (which, according to experts, is 25,000 years old). It has three holes, all on the same side. The end is broken off at the third hole, and only one piece remains. M. Barrenetxea compiled information on the bone txistu in the Gorbea area (Barrenetxea, 1984). 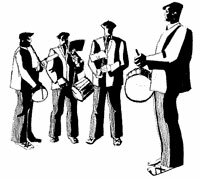 Regardless of whether the Isturitz txistu is the ancestor of today's instrument, there is no doubt that txistu music has been heard by Basques for generation upon generation. As has been attested to in so many early documents, the txistulari, or txistu player, was an integral part of his society, a rural environment with an ancestral culture and age-old customs (with some beliefs and cultural aspects dating back to the pre-Christian period). He and his music played an important role in the life of the village, participating in work activities, fiestas, dances, social celebrations, etc. 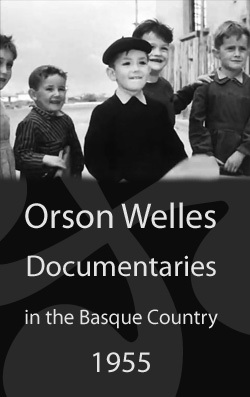 Passages from Padre Donostia (1952) show that "In the coastal towns, when a whale was sighted, txistularis would notify the whalers with their txistus. / In the town of Oiartzun, in 1749, txistularis played their instruments to lift the spirits of the men building the fronton court. / In 1573 the plague festered Lekeitio for nine months, and a txistulari was brought in to alleviate with his music the townspeople's pain and suffering. / At weddings, when the newlyweds would parade through the streets in all their trappings as they made their way home, a txistulari would be at the head of the entourage." And the list goes on of examples of this type, demonstrating the social function and status of txistularis. But life has not always been so sweet for txistularis. Although today the relationship between txistularis and the Church or official bodies are just fine, over the ages txistularis have suffered severe ostracism by these institutions, since they took part in and even played master of ceremonies to certain dances, acts and age-old traditions (very often seen as pagan). But life has not always been so sweet for txistularis. Although today the relationship between txistularis and the Church or official bodies are just fine, over the ages txistularis have suffered severe ostracism by these institutions, since they took part in and even played master of ceremonies to certain dances, acts and age-old traditions (very often seen as pagan). A"Upon confessing he was made to burn his txistu and tamboril in order to be granted forgiveness. Ttxistularis, or anyone who had ever been a txistulari, could not hold public posts in certain places. This explains why in some towns the "tamborileros" would often be Agotes (a lineage of peoples from the Baztan valley in Navarra) or Gypsies, and in other towns they were brought in on feast days. In Hondarribia, an accuser's declaration during the 1611 witch trials under the Holy Inquisition added that he saw Inesa Gaxengoa play the tamboril". We do not know for sure why that was used against her, whether it was because women were not allowed to play the txistu, or because playing the txistu was a sin in itself, or both. As we can see, the txistu has had a long and bountiful life; owing to the fact that it has been with us since antiquity, the instrument, contrary to what may seem apparent, has developed a number of variants and playing styles. And the same can be said for the txistularis themselves in terms of trends, repertories and their function in society. Taking this into account, we can still distinguish two principal styles: "rural-folk" and "urban-academic". It is difficult to pinpoint the advent of formally-trained txistularis, when in the towns and cities they were actually considered trained musicians. These learned musicians appear in a number of iconographic representations dating back to the Middle Ages, most of the time in royal court settings, either as solo players or with other musicians in some sort of ensemble. We mustn't forget that at that time the cultural Renaissance was at its peak all over Europe and musical instruments of this type (tambourine) were very common. As of the nineteenth century information becomes more detailed. Txistularis played dance and concert music of the period, either alone or with other musicians. Their repertory included music for the violin and other instruments, as well as dances and rhythms at the time were considered refined and quite fashionable: minuets, contredanses, polkas, waltzes, habaneras, etc. Some of the txistularis of the period were true virtuosos. It was said that Vitoria-born txistulari Baltasar de Manteli played variations of fragments of 'Oh Dear Harmony' from Mozart's The Magic Flute on two txistus simultaneously. Txistularis demonstrated their skills beyond the borders of Euskal Herria in such venues as the sitting rooms of the Madrid aristocracy. Txistularis were incorporated into Provincial Governments and Town Halls of the capitals and principal cities throughout the Basque Country. They would participate in official presentations, religious processions, the reception of foreign dignitaries and other such acts, using their music to liven up events when called upon. As we pointed out earlier, the most characteristic txistulari styles are "folk" and "academic", but seeing how the dividing line between the two was not well defined, there were txistularis who, to a greater or lesser degree, went back and forth between the two styles. And just as there were differences in characteristics, there were also differences in the makeup of groups. We believe there were a number of formulas depending on the means available. Below is a list of musical combinations which over the years included txistularis: One of the most common forms is the txistu and tamboril (known by the names "tamboril", "tamborin", "tambolitero" or other such similar terms), played by a single musician; Several documents contain the word "salterio". We believe that in these cases they would have used a stringed drum along with the txistu; Txistu and salterio/ttun ttun (see Ramos, 1990, and the writings of Humboldt). Txistu and pandero. Txistu-tamboril, with an atabal drum for rhythm; two txistu-tamborils (apparently forming a duo) and sometimes with an added atabal. Txistu-tamboril and rabete (tamboril and rabel / tamborin and rabete). Although we do not know exactly when, at one point a set group was established: 1st txistu, 2nd txistu (both with their respective tamborils), silbote and atabal; this is the quartet we are familiar with today. This configuration became very popular toward the beginning of the 20th century, having experienced very few changes since then and being seen today as the "official" txistulari group. The txirula, just like the txistu, is a vertical nose flute with three holes. It is shorter than the txistu and emits a higher pitched sound (tuned approximately to C). This high pitch makes it particularly vivacious, adding a special kind of sound (a single note often produces a dual harmonic effect), which can be heard from miles around, above and beyond other musical instruments. It also differs from the txistu in its structure and composition, although the instrument itself has undergone very little change over the years. It is made out of a single piece of boxwood (except for the mouthpiece). Often times the ends are reinforced with leather, since this is the part most easily broken if dropped or banged. Today the txirula is played in the northeast part of Euskal Herria. And in the Zuberoa region no feast-day or dance is complete without the sound of the txirula. The txirula is most commonly played along with a "danburia" (a long hollow box with strings that are struck rather than strummed). A single txirula player plays the txirula and the danburi at the same time. The danburi is held against the body with same arm that plays the txirula. Sometimes two txirularis, each with their own danburi, play together. In recent years the danburi is played less and less in the Zuberoa region; more commonly seen today is the txirula-atabal combination. Much the same as we have seen with the txistu, the txirularis have formed musical combination with other instruments such as the violin or the diatonic accordion. The txirula-danburi has declined greatly in recent years. According to older documents, it was widespread throughout Navarra (down to Tudela), as well as throughout Iparralde, or the French side of the Basque Country, stretching from the coast to Zuberoa. Although larger in size, this instrument has the same structure as the txistu, with a pitch three and a half tones lower. Given its size, the silbote is difficult to play one-handed and generally both hands are used. We do not know when it first came on the scene but at some time the silbote became part of the txistulari group. The first references of this instrument and of the makeup of the group date to the early nineteenth century. The established txistulari group was composed of a 1st txistu, 2nd txistu (both with their respective tamborils), a silbote and an atabal, which is the quartet we are familiar with today. It seems obvious that the txistularis wanted to put together their own group, adding a lower-pitched txistu to the sound of the first two txistus, and in this way, rendering a fuller sounding harmony.